Hills & jumps, oh and jumps & hills… yep, 30 mins of craziness alternating between hills and jumps! “W” will give you that flat road just long enough to allow you to catch your breath before you head back onto a hill or into another set of jumps. There’s no stopping once we start in this one, but you can handle it! HW2019 #3 Loved the jumps!!!! “HW2019” what a great ride! Sadly had to miss the last 6 minutes:( I got disconnected mid way and had to refind then ran out of time before work. But thankfully I got to hear Bruce. Love the Boss! MMC2018 #11…tough class! But awesome as always 👏👏👏. Double day for me so the live Christmas class could be the last class for my MMC. Making it a very very merry end to the Merry Maintenance Christmas challenge!! BSP.. it was mountain of seated climbs by ” No Mercy ” Mere today! Awesome spin Mere, thank you. Pies in the oven…spin…take pies out of the oven. Perfect timing. Drive to 25 – #32! Drive to 25 No. 14! Drive to 25,2018 #18 great class, heavy digs and jumps, loved it! Great class, went fast and worked hard. Loved the misic, including the Springsteen! This class had me singing along and jumping. Loved it. Thanks Mere W.
With The Boss singing and Clarence on sax…nothing is too hard. Thanks for the workout and adding in a little of Bruce. SSNY2018 #3 of 3. Super fun class! Thanks W!! Holy Moly – Body and brain taxed! Thanks Mere. W for the mental challenge with those last jumps! New favorite class!!! Loved it. SSny 18 W4 #3 This was 5 stars for me. Loved the music! This Jersey Girl Loved the BRUCE! Hell Week 2018 #5! Great class! Really enjoyed this one! Drive to 25 – This is my go to 35 min workout! Drive to 25- I always love going back to Mere! Classes always get me. Dang that second Bruce song! Drive to 25- tough short class and luv the Bruce tracks. Drive to 25 class 8…always enjoy this ride, thanks Mere! Drive to 25 -class 4. Great class Mere! Great FUN workout!! Thank you!!! Mere is great, but the music in this class is awful! This was stretching/cool down music. Had to stop 15min in b/c I was so bored. Mere please post more videos with hip hop/up beat music! Jeezo Mere for just over 35 mins. That was a major calorie burner..loved it especially the Springsteen songs. And the fun section at the end with Kris Kross-jump..nice one..thanks again MW. Awesome class! Have a great day everyone! Love!!!! Amazing burn in less than 40 min! Mere great workout 80 to 85% HRT, tunes were awesome!!!thanks! Hey girlfriend! That was awesome, it left me wanting more so I did it again! 😎. I love the playlist thank you. Love the playlist! Thank you. Never gets any easier thanks! FFS#14 (I think). Love this quick one. hell week completed- thanks Mere! Workout #6 of Hell Week. Another great workout! Hell Week 2017- Workout 4 picked a good one there! On to the next work out…. Day 3 of challenge– great music!!! Hell week , class 2 of today! Class 3 total. Hell week #3! Thanks Mere, love the energy! great way to start my day! thank you!!! Day 2 of hell week. It’s amazing how a good trainer and music (minus Bruce S. 😉) can motivate you. Thanks! Good music and great energy as always from Mere! Great class…the”Boss” puts it into the favorites! Yes the ‘Boss’ makes it 🙂 So happy I had a lot of requests for him! I love this Mere. Great music and a real hard and fast work out… its the way I like it!!!! Yes sometimes we need those 30 and done! Drive to 25- Great class!! No 49 Drive to 25. Nearly there…. Just joined studio sweat at home. Great class and music. Will be added to my favorite list. Thanks Mere! Drive to 25- Sandra Hernandez Day 25! Drive to 25 – fab!! drive to 25! number 29 check! Drive to 25! Not a Bruce fan but Kris kross made up for it! Drive to 25 – JUMP JUMP yaay! Teacher Mere W: Wonderful jumps orchestrated perfectly with the lyrics! Thanks for a great spin and a wonderful start to my day! That’s great to hear Donna! 10 down 15 to go for ya! Mere, Great class! So much energy and fun. Loved the Bruce! Thank you for a very sweaty ride this morning! Forgot to say..Drive to 25! Drive to 25… Great class! Mere you really push me to the limit!! I love that! Thanks a lot! Drive ti 25….I think is 13th workout…. Mean Bruce haha! Thanks Mere!! Drive to 25 #7 – aaah those jumps were killing me! Perfect for a quick pick-me-up and get-the-day movin’! Thanks Mere, I feel great! Drive to 25 – Great start to my week. This one got me soaked in sweat in just 30 minutes! Drive to 25–#9 Love the No excuses shirt!! Drive to 25- Great class, Mere! Thank you! Drive to 25 😀 Awesome class! drive to 25, great mix of music to spind too! Love this work Water falls of sweat thanks Mere. drive to 25 2/25 but since Debbie and I are doing this together I think we should have 4 of 25? After all if 37.40 = 30 minutes then 2 riders at one email should equal 4 What do you think Mere? Drive to 25! Mere, this workout was perfection! I have to admit I’m a little teary from my shoutout – just what I needed to keep going. I AM here, and I am working hard, and I am not going to let you or me down! Thank you a million times for that! This challenge with my soulmate workout is taking me right back to my normal, and I’m not going to give up! Can’t wait for my next spin already! DRive to 25: what an amazing use of my time. Awesome 30 minute workout! Thank you Mere! Drive to 25…great sweat! Love the T shirt Mere. Just finished this class with Mere…loved all the “jump jump” cause inside-out is wiggity, wiggity, wiggity wack! Drive to 25 — lovely add on now have cross cross stuck in my head. Jump Jump! Drive to 25! 2 of 25 Done! First class with Mere W. loved it, will be back for more classes with Mere W.
Drive to 25! Great class again Mere! Good way to end my day! Great way to start a Monday morning! Short but intense! Great music too. Thanks! 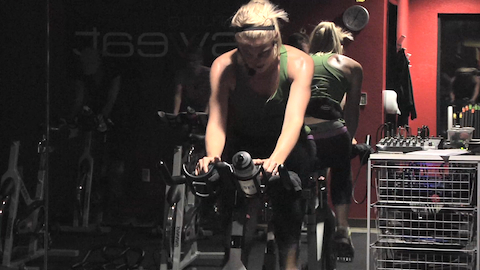 Born To Sweat… thanks Mere, a sweaty mess as always… love it. Good class to get back at it. I’ve been off for 3 weeks. Was out in Denver taking care of our 3rd grandson (4 weeks old now) and his 1 1/2 year old brother. Did a lot of walking and stair climbing, but no biking or working out. So this was a good one to get back at it. Thanks Mere! 1st class after two weeks off…exactly what I needed! Thank you! Me too Vilma! That was the point of that last song, so glad it worked for ya! Whew! Great workout. It’s been months since I last spinned! Well welcome back Bonnie! Now just keep at it! Great ride! Great music! Being from NJ and having just been to his longest concert…loved Bruce. Thank you. Great spin class Mere..loved the jumps and ‘The Boss’..especially loved seeing your heart rate and calories burnt as its a great indicator for us spinners at home as to how well we’re doing with our own HRM..added to favourites..look forward to many more..thanks Mere.!! This was a perfect workout. I’m new to the program and absolutely love it. First time I’ve finished a full 30 minute session! Love the pace! An absolutely must have program! I don’t know how anyone wasn’t sweating in that. I’m drenched!!! What a sweat fest!! Love sublime and any cheesy 90s hip hop that was so much fun!!! I was sweating right with ya Nicky! Gotta throw in some fun music to help get some energy back. Loved it!!! Great music kept me motivated! Thanks Mere W! Thanks Kelly! Glad you enjoyed it. Perfect Saturday morning bliss. Not too fast, not too steep, juuuuuuuuust right. Sweating buckets – 145 MEPS in 38 minutes is not joke. I am back in the saddle this month. Heading out to Oregon though next week – hopefully I will find a few trees to hang that TRX; however, if all fails I will have my jump rope along so that Brianna and I can feel Cat’s pain :). Glad you are thinking ahead Heather! I always love to see the Gypsy Wagon travels pictures..so beautiful 🙂 I’m sure there will be plenty of trees for that TRX. Awesome start to my Sunday! I was feeling a bit sluggish after my week of kids back at school after vacation, and thought “Oh Ill do a quick 30 min” should have known better picking a Mere W longer than 30 mins and pushing it!!! Feeling fab now though! Awesome Sally! Nothing better after a vacation then a Spin class 🙂 Glad you were feeling fab afterwards, that’s what it’s about! Good ride with great music – especially Springsteen!! 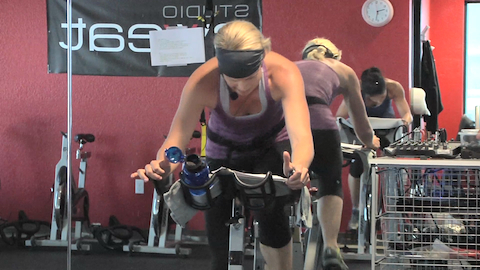 You might want to rethink who is on camera during the workout – just a suggestion. Thanks Mere! Thanks Doria! All you SSoDers were asking for Springsteen 🙂 We appreciate the input and will do our best in the future to try to avoid the distractions on camera…we do film in that live environment, so I can’t make promises but we will without a doubt try! Great ride Mere!! Loved the music! Good solid spin Mere. Loved Springsteen! Love the music! Awesome class! Way to get it done Dena! Great class, great music, great MERE! And THE BOSS!!! Sometimes you need THE BOSS Shay 🙂 Got a bunch of requests for him! Awesome Ride Mere! Loved the music! Grab a towel or two for this 33 minute Spin®Tastic blast! You’re gonna be torching fat and burning some serious calories in a short amount of time! Be prepared to get drenched! It’s simply awesome. Ready, set, climb & race! 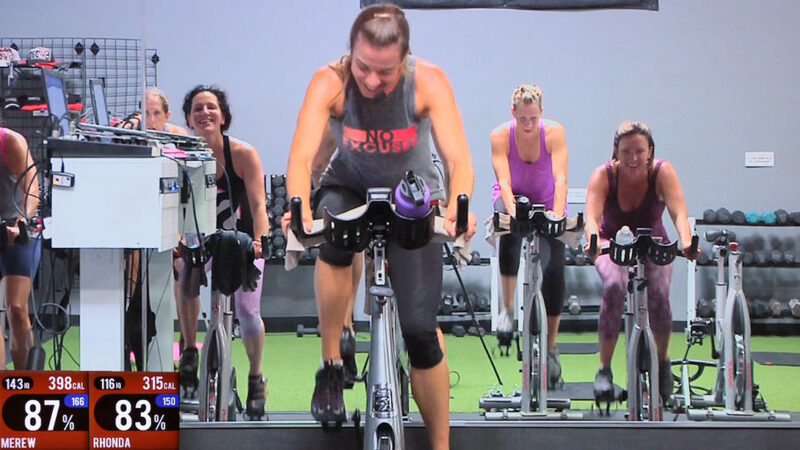 Let’s get SWEATy in this 30 minute Spinning workout that’s jam-packed with “fun”. We begin with a long climb that levels off so, naturally, we sprint! Next up is a long endurance cycling set, a short break, and yet another small hill. Yep, it’s a climb. Finish off the best 30 minute Spin class with a couple epic sprints home. Think Red Zone, because you’re all gonna feel maxed out in this one! Pick an hour and a half of any day… What can you accomplish? 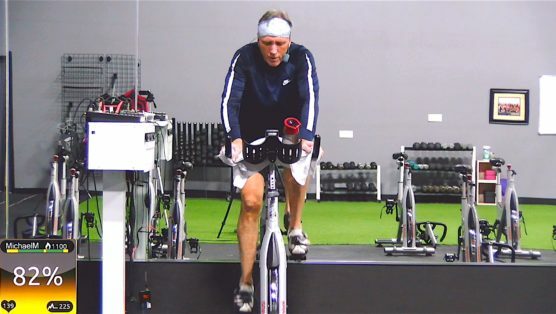 Blend this 90 minute Spinning class into that day, and you will have gained a workout that is seamless, powerful, and productive. And, remember that you can dominate the value of your life, when you focus on a steady effort! Life is not about the time we put into a ride; life is about the ride we put into our time.